The Home Office has launched an independent review into the application of sharia law in England and Wales. 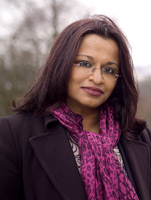 Professor Mona Siddiqui of Edinburgh University, a specialist in Islamic and inter-religious studies, will lead a panel of experts that includes family law barrister Sam Momtaz, of 1 Garden Court, retired high court judge Sir Mark Hedley and family lawyer Anne Marie Hutchinson QC, partner at Dawson Cornwell, whose expertise includes jurisdictional disputes on divorce, child abduction, forced marriage disputes, children’s law and honour-based violence. Home Secretary Theresa May noted that, while many people benefit from the guidance of sharia councils, there was evidence that some councils may be legitimising forced marriage, discriminating against women in divorce settlements and acting in other unacceptable ways. The review will explore whether, and to what extent, sharia law is incompatible with the law in England and Wales, and the ways in which it may be being misused or exploited. It is due to complete its review in 2017.